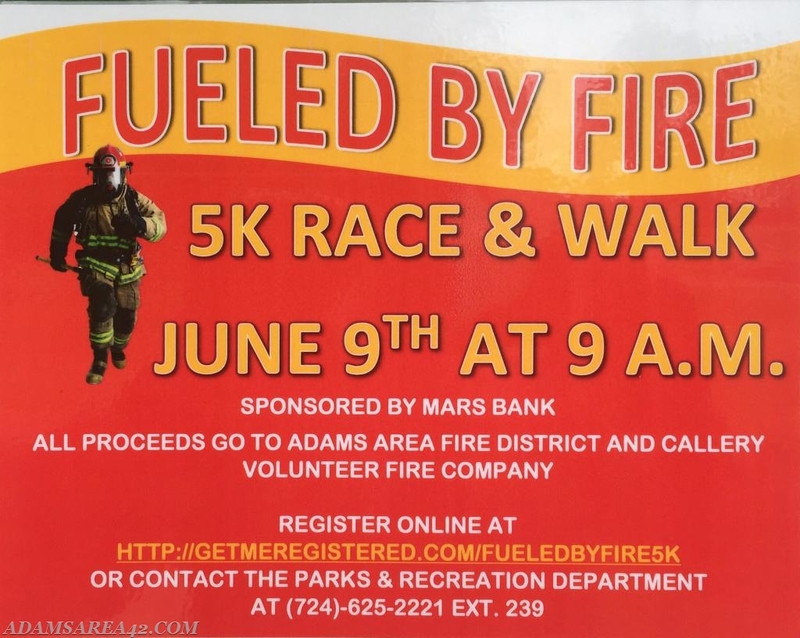 Lace up your running shoes and come out to support the Adams Area Fire District by running in the annual 'Fueled by Fire' 5k race! The race will be held on Saturday June 9 at the Adams Township Community Park. The registration table opens at 8 am that day, and the race will start at 9. Race organizers say the field is filling up with stiff competition, so register soon while spots are still available!